Veterinarian in Okemos, MI | Bennett Road Animal Clinic, Inc. When you visit Bennett Road Animal Clinic, you and your pet will have a pleasant experience. 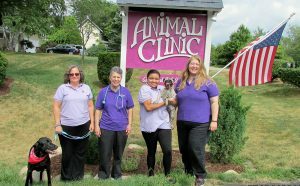 We want your visit to our clinic to be the best trip you ever had to a veterinarian. We are committed to making the health and well being of your pets our highest priority. We dedicate ourselves to enhance and promote the human-animal bond with careful attention to detail. We take every opportunity to update and improve our knowledge and skills in caring for your pets, treating them with the same love and care as if they were our own. We believe in high quality, not a high volume of patients and strive to be prompt with appointment times. Dr. Wolfe carries a cellular telephone so she can be reached 24 hours a day. The practice is in Dr. Wolfe's house so we have an "at home" atmosphere - open and caring. She has been in practice for 45 years, keeping updated with continuing education. She was recognized by the Ingham County Animal Control & Shelter for the James Herriot Humanitarian Award twice. 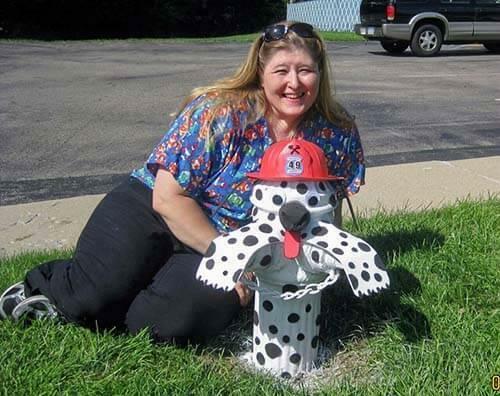 She has been voted the Favorite Veterinarian in her local area multiple times!